This recipe will make 12 standard muffins. Cream your butter and sugar together, then add eggs and beat again, then mix in your water. 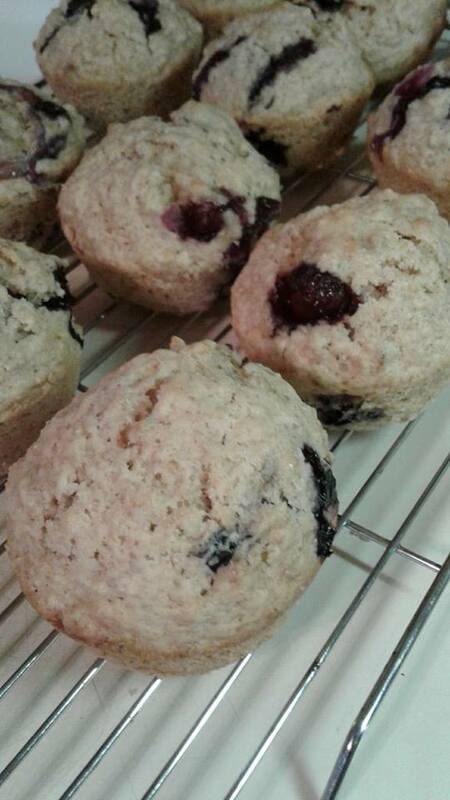 Add your dry on top of wet.. put oatmeal, then flour, then sprinkle salt, ginger and baking powder over the flour..
Gently fold your blueberries in, then put into a greased steel muffin tin or if you use them, non-stick muffin tins. Bake 18 to 20 min in a 350 pre-heated oven. A lovely muffin, that ginger added a depth of flavour to them and the blueberry gives a burst of fruit with the oatmeal adding in some extra fiber. This entry was posted in Baking and tagged Baking with Blueberries, Oatmeal for added fiber, Oatmeal Ginger Blueberry Muffin Recipe. Bookmark the permalink.